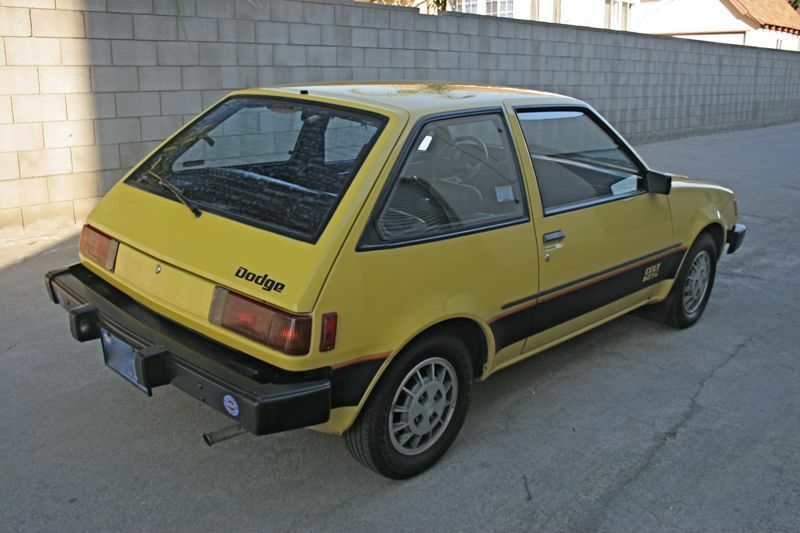 Right up front I'll say that the Colt to have is the 1984 GTS, which came with a turbo. 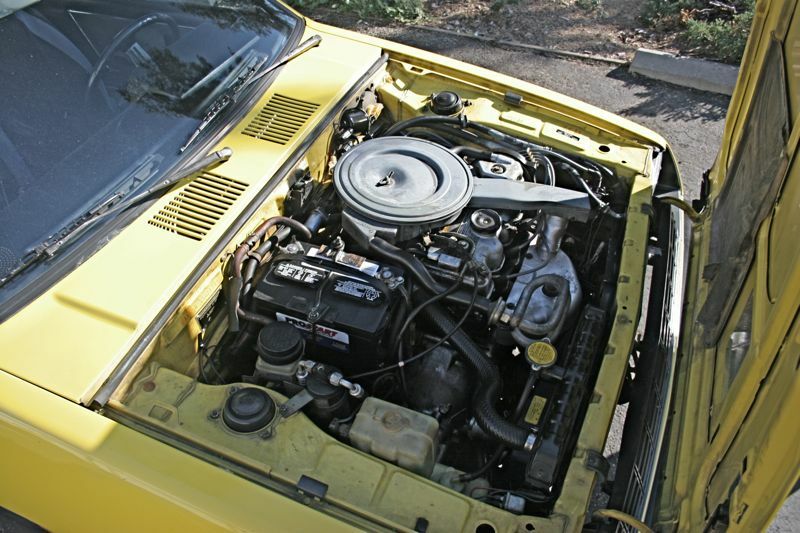 Turbo lag was measured in months, but once it spooled up, it was scary quick. They're not easy to find these days. This car, the Colt RS, while not quite as exciting, is a very good alternative. The Colt RS got to 60 MPH in 11.1 seconds. On the highway it returned 40+ miles per gallon. That's an impressive combo for a 1980s car. What allowed the Colt to have this impressive combination of MPH and MPG was an efficient 1.6 liter 4 and a thing called a "twin stick transmission". To the left of the shifter, is another stick. This lever changed the transmission drive ratio, making it essentially an 8 speed transmission (along with two in reverse). 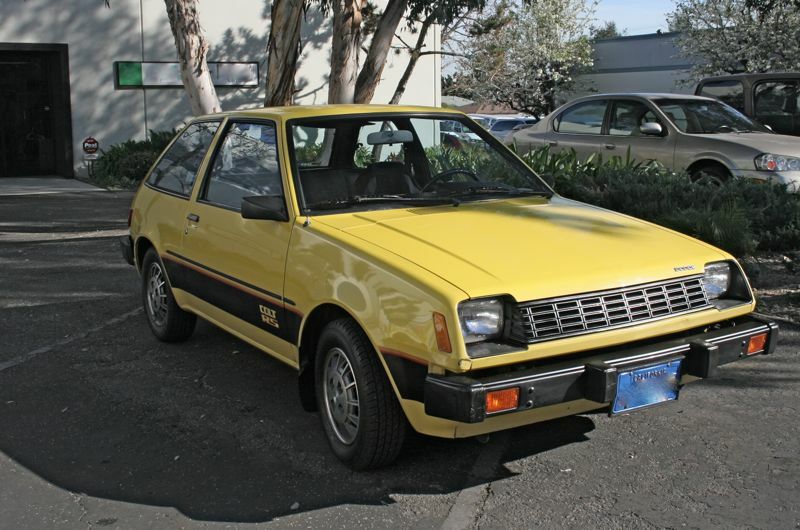 I always thought the Colt / Mitsubishi Mirage was one of the better looking 1970s / 1980s Japanese hatchbacks. The body has a bit of a European look to it. The interior is typical of Japanese cars of its era. It's well laid out, but a bit "plasticy". This car is in very nice original condition. It's been in the same family since new. 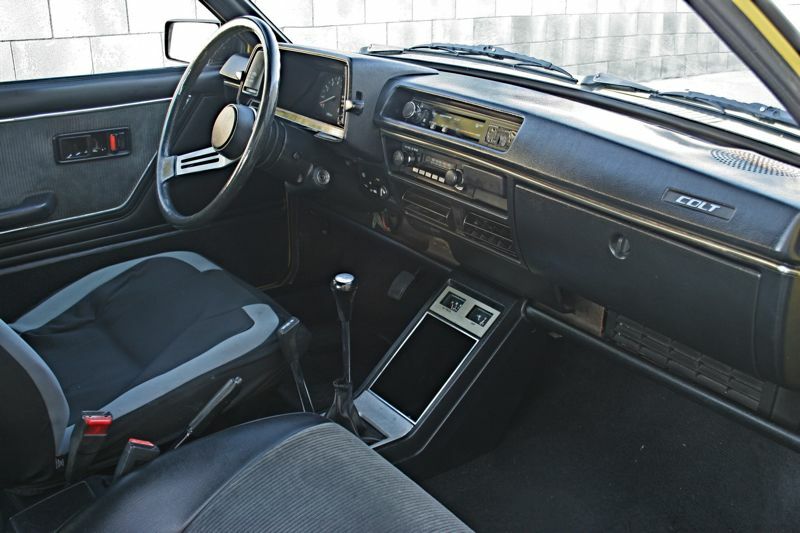 The paint is original and the interior looks to be in very nice shape. These cars were very prone to rust, but this one, based on the pictures, looks to be rust free. If you're looking for pure excitement, hold out for a Colt (or Mirage) Turbo. However, if you're looking for an old car that will perform as well or better than many modern cars, gets great gas mileage and has some neat technology, this car may be just what you're looking for. Act quickly, though. By the time this posts, there will be just over a day to bid on this car. I always liked the 85-88 Mitsubishi Mirage Turbo the best of all hot hatch cars of the 1980s. The only problem with them is they have no power steering and were a bit heavy in the front so steering effort was high. The "twin stick" mechanism is something else... wow.